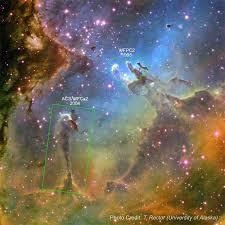 Everyone’s seen the amazing photographs taken by the Hubble Space Telescope. But what I’m talking about in this article is not what the universe looked like before the Hubble telescope, but what people thought it looked like before the astronomer Edwin Hubble. That universe was very different to the universe we imagine now. We now know that the universe is some 13 billion years old, beginning with the Big Bang, and that it contains billions of galaxies, each containing billions of stars. We know that the universe is expanding and will continue to expand forever, even after the last stars have flickered and died. But before Hubble, we knew none of that. Hubble was born in 1889 and is probably the most important astronomer of the 20th century. He was the first astronomer to show that our galaxy, the Milky Way, is just one of many galaxies in a much larger universe, and he also showed that distant galaxies are moving away from us, leading to the realisation that space itself is expanding, and hence that it must have once been hugely dense, hot, and much smaller. At the beginning of the 20th century, astronomers knew that there were millions, if not billions of stars in the sky, but they had no idea about the size or age of the universe, or where it had come from. 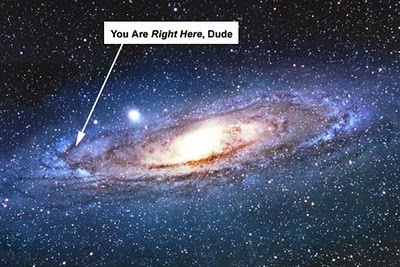 They knew only of our own galaxy, the Milky Way, and believed that was all there was. They also believed that stars were fixed in space, uniformly distributed throughout the galaxy, unchanging and long-lived. All of these beliefs were incorrect, as Hubble’s work showed. Hubble’s first major discovery, in 1924, was that the Andromeda Nebula was not a small gas cloud, but a distant galaxy, far beyond all the other stars that had been observed. He discovered many more galaxies and devised methods for classifying them and estimating their distances from us. So now our idea of the universe had transformed from a relatively small space, uniformly populated with stars, to a vast, possibly infinite universe, filled with billions of galaxies, each as big as our own Milky Way. 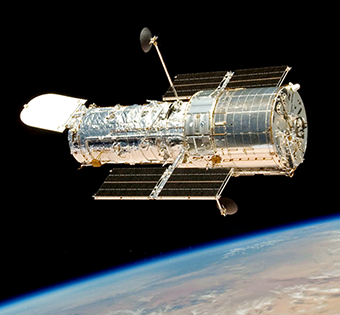 This would have been enough for one man, but Hubble went on to make an even more important discovery. He measured the distances of galaxies from Earth and calculated that the more distant a galaxy was from us, the faster it was moving away from us. 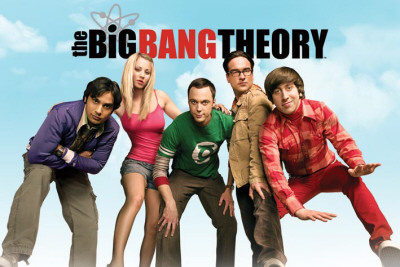 The implication was that space itself was expanding – as predicted by Einstein’s General Theory of Relativity. Amazingly, Einstein had proposed his General Theory of Relativity in 1915, knowing nothing about our modern picture of the universe. Everything we have discovered since has merely confirmed what Einstein predicted. If the universe is expanding, it must have been much smaller in the past, and that enables us to calculate its age – roughly 13 billion years. 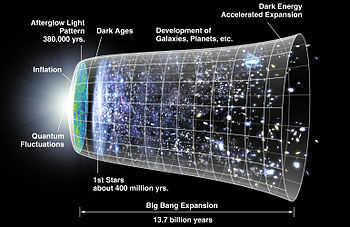 Again, this method of calculating the age of the universe is thanks to Hubble. It tallies with the age of distant galaxies measured from their luminosities, to form a consistent world view. No! No! Not that, you idiot! We now have a much more detailed picture of how the universe evolved after the Big Bang, including the life cycle of stars, the existence of super-massive black holes at the centre of every galaxy (including one at the centre of the Milky Way) and the fact that stars are not fixed in position, but rotate around their galactic centre. We know that the visible part of the universe is just a small component, with dark matter, dark energy, X-rays, cosmic rays and infrared and microwave radiation making up the bulk of what’s out there. We also know that all of the heavy elements – carbon, oxygen, nitrogen, etc – were created in early generations of stars and that therefore the Earth and all life on it, including us, is literally leftover material from dead stars in the early universe. 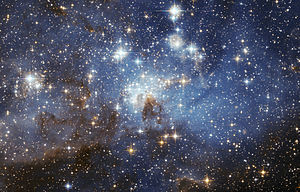 We can even see some of those ancient stars thanks to the Hubble telescope. We’ve moved from a relatively small, static universe that we couldn’t explain to a much bigger, much more dynamic universe that we can explain in much more detail and that answers a lot of questions about life on Earth. 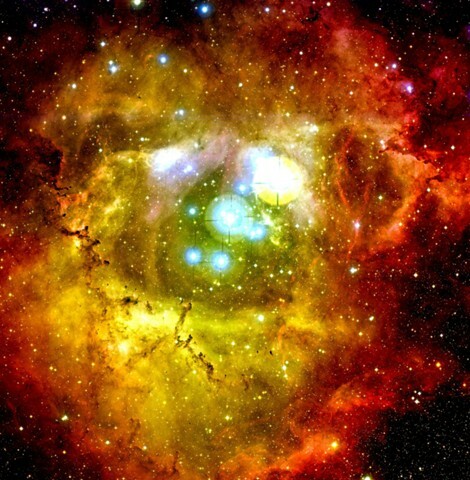 And many of the biggest discoveries were made by one man – Edwin Hubble. That’s why the greatest telescope ever built is named after him. This entry was posted in Science and tagged Belief, Science. Bookmark the permalink.